Great Location! Close to Schools! 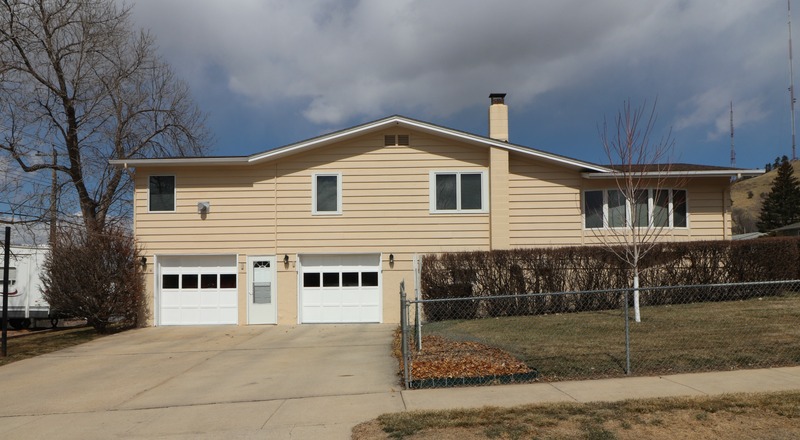 Listed by Chris Twiggs, Keller Williams Realty Black Hills, 605-545-1218. Welcome home to this charming 3 bed / 2 bath on a corner lot! This home features a spacious living room with large beautiful windows that let in tons of natural lighting. The kitchen features ample cabinet space, built-in stove, and even a built-in spice rack! Going into the upper level you will find all THREE bedrooms including the master with its very own fireplace! Downstairs you will find beautiful vinyl flooring throughout that was just installed in 2017, 2nd bathroom, and a great space to use as an office. Also, downstairs you will find a walk-in storage room that could be used for extra kitchen items or storage. Off the dining room you will find a large sized deck that is great for entertaining, completely fenced in yard, RV parking, greenhouse, and TWO sheds! I’ve called Rapid City HOME since 1998. Along with my wife Bethany and my two energetic daughters, we can often be found exploring the deepest parts of the Black Hills, splashing around in Rapid Creek, or hitting the bike paths for some intense exercise! As a long-time and successful entrepreneur and real estate investor, I am proud to put my vast experiences to use by helping others to realize their dreams of home ownership. My true passion is helping others success and that passion shines through in my dedication, integrity, accuracy and knowledge I give my real estate clients every single day.